Cook Wanted! Apply in person now! We at Finney’s Pub in Doylestown are looking for a part-time short order cook; you must have experience and be over 21. We are looking for a team player who is available for nights and weekends. Late night hours are 5:00 PM – 2:00 AM, Monday through Sunday. You will only be considered for the job if you have your own transportation and you live in the Central Bucks area. Requirements include: Understanding the fundamentals of cooking, willing to be a team player, Nights/Weekends. Part time is currently available. You will responsible for several other things including dishwashing and bar backing. You must present a clean and orderly appearance. SafeServ Certified helps, but is not a must. Paid training is offered. Please apply in person 215-348-2124. 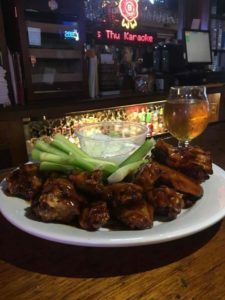 Previous PostAll You Can Eat WingsNext PostIt’s time for Football at Finney’s! Come and get your wings!